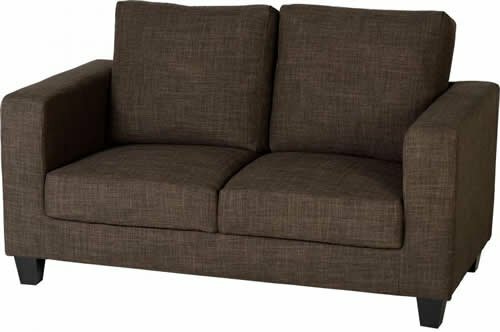 We are presently selling the extremeley popular Tempo Two Seater Sofa in a Box in Dark Brown Fabric for a great price. Don't pass it over - purchase the Tempo Two Seater Sofa in a Box in Dark Brown Fabric online today! The Tempo small sofa has a contemporary design, available in a series of spectacular brilliant colours and available in both Faux Leather and Fabric. The settee features black legs which are made from solid wood and comfortable padded seats and back rests. Upholstered in a tough wearing cotton or PU, this sofa is a great addition to your house.